We have often discussed many different golf brands that supply some of the best tops of the notch products in the industry. With that, we want to share a brand that excels in quality, design, and expertise, as part of the Aschunet Company, this brand is in partnership with other many different golf brands that we have shared before such as Titleist and even FootJoy. With this in mind, we took it upon ourselves to share the top ten best golf clubs from this brand. Now, it is important to note that in partnership with the Titleist brand, this brand excels in their products and most of these clubs will cost a pretty penny. However, if you want excellent craftmanship alongside a well-designed product, then these golf clubs are the ones for you. Before we start, however, we are eager to hear from our audience, what makes a great quality golf club? In our minds and to our knowledge, we have learned that a great golf club is as great as the golfer. A golfer, of course, can enhance their performance with a product that is specially designed with beneficial features. However, in the sport of golf, like many sports, the equipment is as good as the individual using it. With that, the factors to consider when picking out the best golf club for you include the grip, the shaft, the design, the features, the forgiveness, and the crown. This brand excels as far as creating innovative products that stand out in the sport of golf and we are eager to share them with our audience. 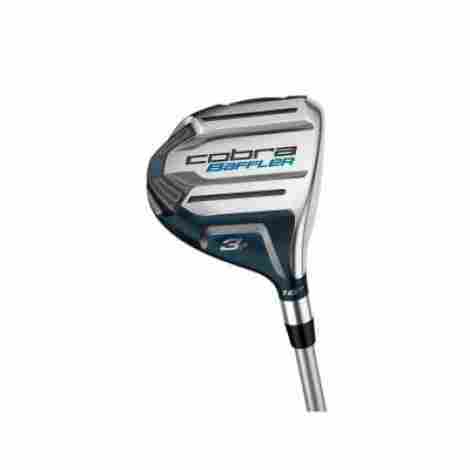 Let’s begin with product number one of the best Cobra golf clubs! 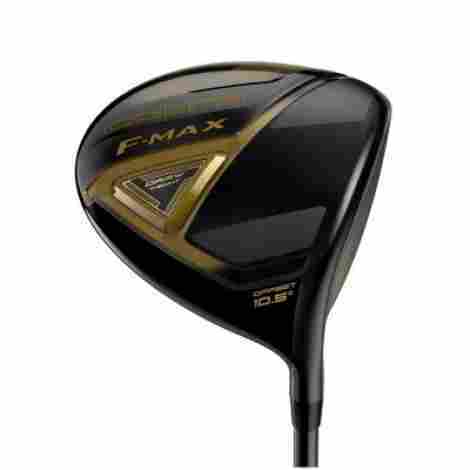 As the first golf club on this list from this brand, we are eager to share the Cobra Men’s 2018 F-max Offset Driver. This product is a great product for individuals that want quality and performance with a black and gold tone design. If you want a flashy product that is designed for perfection, this is it. Here are two features to consider. A golf club design can be specifically tailored to individuals. For instance, there are golf clubs that are designed for regular, stiff, and seniors. With that, this item has an ultralight configuration design that is intended to promote better weight distribution and overall distance during slower swing speeds. Alongside this, the club head receives maximum energy during every swing. What does this acronym stand for? Well, C.A.F stands for Crown Alignment Feature, which is a specifically formulated design from this brand that allows for individuals to easily align their club head for straighter quality shots. With this, the feature is actually created and done in a very appealing way that looks like part of the aesthetics of the golf club and not an odd addition. As far as cost and value, we want to share that this brand is highly touted and very high quality. However, this product happens to be very costly considering that it is only one club. For the price of one club, an individual can buy a whole club set. However, quality breeds value and value is worth paying for. Overall, we recommend this item to the professional golfer wanting value and performance. More forgiveness on off-center shots. Straighter shots with this product. This next product is a beautiful modern club with plenty of great benefits for the professional golfer. With a cool, sleek, and modern design and a quality shaft, this product is made for performance and value. 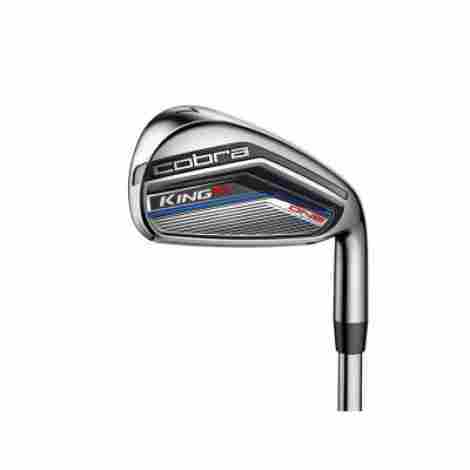 The Cobra 2017 Golf Men’s King F7 Single Length iron Set is a great product that is designed for performance and style. Here are two features to consider. This item has a quality face and groove design. The grooves are designed to improve the structure of the item as well as the spin and the trajectory. With that in mind, the CNC milled face allows for individuals to perform better on the golf course by having better shots and overall speeds. With that, this design is common among quality clubs. This brand is known for producing some of the highest quality head designs available today. This item is designed with zone weight distribution. Essentially, the primary weight of the club is removed from the front and center of the clubhead and redistributed to other areas of the club such as the perimeter and the lower and further back of the club face. With this, it allows for better balance and swings. As far as price for this item, it happens to be a very high-quality golf club that individuals will appreciate for the price. Although the price is over the top and primarily more affordable for professionals and individuals that can drop thousands on a golf club set, the item is specifically designed for professionals that want a masterful design. With that, amateurs may find it hard to use or practice with this product. The face is designed for more distance. Thinner and stronger face and structure. Higher ball speeds and better distance. Will not enhance your swing speed by a lot. As the next product from this brand, we want to share a quality product that is made for professionals. The even better news is that currently it happens to be on sale and the price is much less expensive than the original price. Made for quality and performance, we want to share the 2018 Cobra Golf Men’s King F8 Driver and two features to consider. Designed for masterful use, this item happens to have one of the rarest club head designs that is also created for golfers who want the perfect swing. Although many brands create a circular sweet spot, this brand had designed this item with an optimized sweet zone that is known as an elliptical pattern. The pattern design is intended to range from heel to high toe when swinging so individuals have the perfect swing. This item is made with CNC machining, which allows for a better precision thickness design. With that, the club is actually 3% thinner and 10% lighter than most clubs available today. This allows individuals to perfect really well on the golf course and also enhance their play. 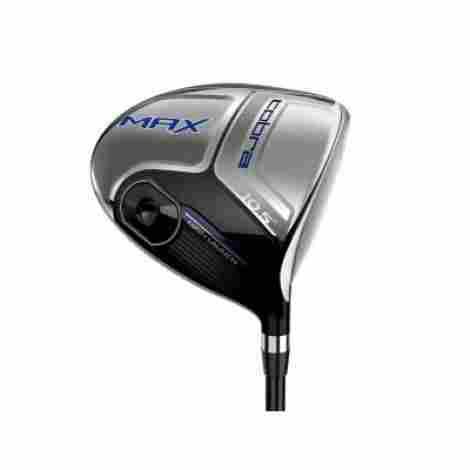 For maximum ball speed and quality distance, we highly support this product. The cost to value ration for this product is evident due to the quality of the brand. 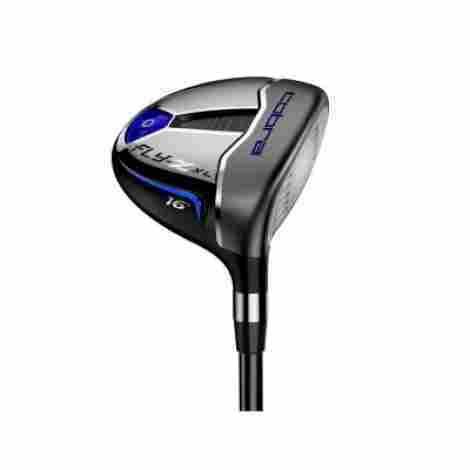 This is not only a golf club, this is a precision designed club that is expertly designed for quality and performance. Alongside this, it is lightweight, has a carbon fiber crown and is made from some of the highest quality materials in the industry. With a new and cheaper price, this is the club to choose. Different shaft materials to choose. Created with a thin quality precision face. Made for performance and better swing speeds. This next product is another high-quality club from this brand that is designed for individuals that want to start using this brand’s beginner clubs. This item is not of the highest and most professional quality, but it is still made for performance and value for individuals that want to start using higher end golf brands. 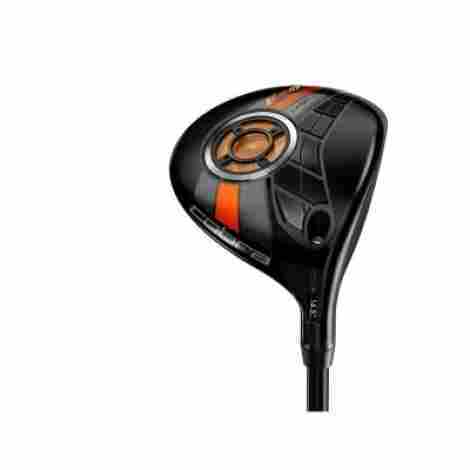 The Cobra Men’s Baffler XL Golf Fairway Wood is a high-quality product made for performance and value. Here are two features to consider. This product has a quality rail design that provides excellent smooth turf quality and interaction with the ball. With that, it has less surface drag on the sole and the leading edge, resulting in a quality swing that allows for expert speeds and distance. The design of this product is a high-quality low CG and shallow design on the face that created a better trajectory design. With that, it also allows for lower spin which results in better distance when it comes to performing. As far as price, this is the perfect starter golf club for individuals that want a quality product that is not overpriced and over the top. With that, this club offers excellent value to individuals alongside plenty of positive benefits for amateurs. As a great amateur golf club, we highly recommend it. Different loft degrees to choose from. Low CG and shallow face. Not as high quality as other clubs. This club is a very simple and modern design with quality benefits that make the product worthwhile. 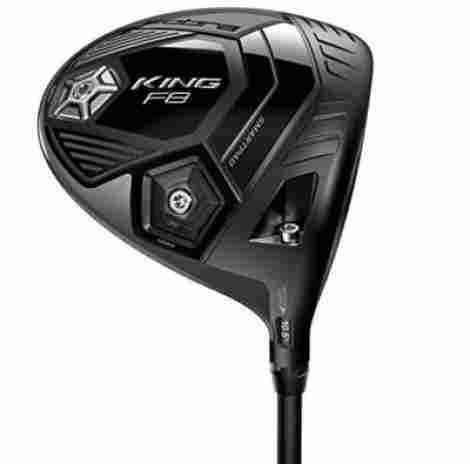 The Cobra Men’s King F6 Hybrid Golf Club is made for quality and it is designed for individuals that want a simple quality golf club that is lightweight and easy to swing. This product comes with a couple of quality features that make it worthwhile. Here are two benefits we want to share. The design of this product is a simple golf club design that is traditionally shaped with a hybrid profile that allows for easier and higher launches. Alongside this, it has improved forgiveness without sacrificing the accuracy of the product. As a long iron, it also works effectively to help individuals get the best of every launch. This product is designed with a quality engineering channel around the perimeter of the product that also minimizes the thickness and increases the overall speed of the item. With that, it has greater distance benefits and allows for individuals to perform better on the golf course with every swing. To discuss price and value, we want to share that this item has very different flex’s available alongside configurations and hand orientation. With that, the item is high quality, has a quality clubhead design, and happens to come with a high-quality shaft that is highly durable. With quality reviews and close to five stars, we recommend this hybrid to everyone. Easy to hit, use, and better forgiveness. May be a bit heavier than other clubs. This club happens to be a great starter club for anyone wanting to start learning this brand’s particular golf club. This item is designed with quality craftsmanship and guarantees, and overall great experience to individuals using the product. With that, it comes with great features that make the item worthwhile. If you want a great club that has plenty of benefits, we recommend this one. Here are two features! This product has a very unique design. It has an offset head design that is intended for individuals that want a bit more forgiveness. The design is a quality design that allows the face more impact and better distance with every golf ball. This product boasts the quality zone weight distribution design that they have used on other golf clubs. This level of design is intended to allow better crown positioning weight on different areas of the golf club. For instance, this item has a low and deep CG with a low and back weight design that allows individuals to have better hits. As we said in the intro, this item is a great starter golf club for individuals that want to learn how to use this brand’s particular clubs. They are great for beginners and have plenty of benefits. With that, we recommend this product if you want a great club that will enhance your golf play and performance. Different shafts and lofts to choose from. Offset design helps the golfer square. Zone weight distribution is better quality. Speed channel face has better benefits. Few features compared to other clubs. This product has a very high quality and modern design that is very useful if you want quality benefits and a great fairway club. We want to share the 2017 Cobra King LTD Fairway and two unique features of this product for individuals that are considering a club from this brand. This product has a very unique Spiralock technology. Overall, the design is a 16g weight design that prevents the over tightening and also the loose possibility of the weight distribution over heavy vibrations. With that, it allows for better high-speed impacts while minimizing vibrations. Essentially, it is the perfect combination of distance without sacrificing quality and forgiveness. This item has a unique speed channel design that is known as an engineered trench. This design allows for a quality face design that is minimal in thickness but increases ball speeds on every hit. With that, individuals can also expect better distance and accuracy with every shot. To discuss cost and value for this product, we recommend this item if you want quality benefits alongside a unique design and performance value. Overall, it allows for individuals to perform better on the golf course while also tightening their performance and accuracy. The design is a high-quality flex and configuration that allows for better benefits and performance. Unique spaceport design with low and deep CG. Speed channel design with minimal thickness. Can take a while to get used to. This next product is another quality product from this brand and it is intended for individuals that want a modern and quality driver. 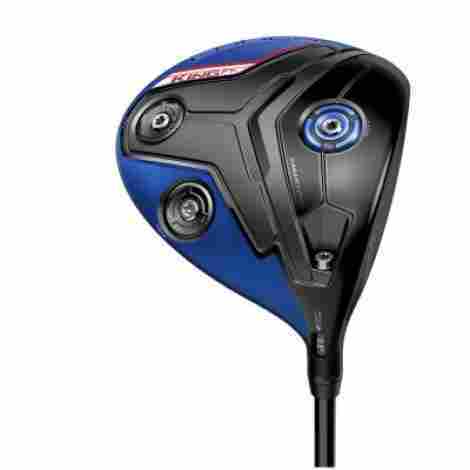 The 2017 Cobra Golf Men’s Cobra Max driver is designed for quality benefits and has a unique weight zone distribution quality that out-performs most clubs available today. Made for quality and performance, this item has two benefits we want to share with our audience. This item has a unique forged head design that is masterfully engineered for better club hits and overall confidence when using the product. With this, the overall design is a quality less spin design that allows for extreme confidence and distance on almost every shot. Overall, the address view is a quality easy to hit design that allows for masterful benefits. One quality benefit of this golf club is that it comes with many different varieties and qualities to consider. For instance, this product comes with both left and right-hand orientation. Alongside this, this club has verifying loft degrees as well as shaft materials to consider. With that, it also has plenty of positive benefits that make it worthwhile if you want a masterful product for the golf course. To discuss the price and the benefits, we want to mention that this club is great product for the intermediate golfer that wants quality benefits and a quality design. With that, the speed channel design is a low CG design that delivers excellent distance for slower swing speeds and a large address view for individuals that want better forgiveness. For the price, it is a perfect balance of performance and trust. Better quality for the price. For individuals that want a quality product made with masterful benefits, this is the club for you. This driver is designed as three drivers in one and has a unique design that allows for individuals to have and enjoy a customizable experience. The product allows for the fine tuning of the equipment to ensure maximum distance and trajectory under different conditions. Here are two features of the 2017 Cobra Golf Men’s King F7 Driver. This product has a unique design known as the Textreme Carbon Fiber Crown. This is a carbon fiber crown that allows for better lightweight use. This level of weight distribution ensures better distance and overall forgiveness by distributing the weight from one area to another, which also minimizes vibration on impact and heavy shots. This item comes with an 8-way adjustable loft that is designed to help control trajectory and improve the distance the ball will travel. This level of quality is designed to promote the farthest distances and keep the clubhead square on any address regarding the loft setting. With that, we recommend this product to individuals if they want a fully adjustable experience and quality driver design. This product’s price not only reflects the benefits of the item but also the adjustable design. With that, the cost and value ration of this item is evident with every hit. Individuals will enjoy the durability, the adjustable benefits, the smartpad, the crown, and the carbon fiber design. It also is fully adjustable, and it is designed with many different flexes. Club head is made for extreme distance. The app can be more user friendly. This next golf club is expertly designed for quality benefits and unique quality designs. This item is designed with a quality face technology design that allows for masterful use and individuals will find the product to both be high quality and highly durable. This item does not have any reviews, but if it’s anything like other clubs from the brand, individuals will find it to be well worth it. Here are two features of the 2018 Cobra Golf Men’s King Utility Iron Black. This item has a unique design that is made from tungsten. The high-density design is strategically placed and positions on the toe of the product which allows for better precision and easy distance. Therefore, individuals can expect every shot to be a quality performance shot. Alongside this, the item is durable and of high quality. Alongside the quality of this item is a milled face design that has grooves and happens to be made for high accuracy and performance. With that, the strategic design is the new modern 2018 design that individuals have been looking forward to. Considering that this item is the new 2018 design, individuals can expect that the price will reflect the more modern design. With that, this item has a high-quality PowerShell design and plenty of different configurations available. Whether you want it as a stiff or regular or a 2/3 iron or 3/4 iron, it is well worth it. Although it has no reviews, you can be the first one to review this quality product! Trusted product with plenty of benefits. Our top ten best Cobra golf clubs are an extension of our intention to share quality products that are made to last. With this, we want to guarantee our audience a quality product that is designed for excellent performance and value and this brand knows both. The Cobra brand has long been associated with creating some of the newest and innovative quality designs of a golf club. Whether it is their adjustable crowns, their durable plates, or their quality grips and shafts, this brand does not disappoint. So, have you used this brand and do you notice any likeness to the Titleist company when it comes to this excellent golf club maker? With this, we hope to inspire our audience to try out new golf clubs. Now, we know that many of these products are somewhat costly. Therefore, these clubs are best fitted for professional golfers or intermediate golfers that know exactly the specific purpose of each design and each product. With this, we want to move forward and discuss with our audience the criteria to evaluate the best Cobra golf club. If you are having a hard time choosing a quality golf club, we want to share with our audience the different aspects of this specific item to consider when selecting the best one. As the criteria to evaluate the best Cobra golf clubs, it was our intention to take into consideration the different aspects of a golf club. With that, if you are looking for the best golf club for you, we are eager to share our thoughts an ideas with you. When it comes to a quality golf club, there are different facets and aspects to consider and we want to share this more as a guide of what to look out for, aspects that help us identify and base the overall quality of a product. Let’s look at the first aspect. When selecting the best golf club for you, it is important to take into consideration the overall quality of the product. Now, the price will say a lot when it comes to quality. In truth, products such as this tend to go up in price when they have a lot of value. Now, since Cobra is such an excellent brand and is known for their premium quality products, one aspect that we took into consideration is the overall product and the reviews. With that, we only wanted to share products that had above four-star reviews. As the first criteria, reviews really aid in the process of selecting the best product because you get to really understand how an item works according to other people’s experience with it. Now, when selecting the best product for you as far as a club, it is important to consider the grip and shaft material. Some brands will have different sized grips or different types of grips that allow for a unique experience when holding the product. Now, a golf club grip is one of the most important factors to consider when it comes to a club because a golfer needs a proper grip for a great swing. However, a shaft may be even more important. With this in mind, it is important to consider which shaft is the best for your style of golf, your weight, strength, and height! Now, let’s move onto what is at the opposite end of a grip. It goes without saying that a crown happens to be one of the most crucial and important factors to consider as far as a golf club. The reason being is that a crown will determine overall the spin of the ball, the impact, the energy return, the quality, the durability, and virtually everything about a golf club. When it comes to Cobra, their products excel when it comes to the value of the crown and their specific designs. For instance, they have different designs ranging from PowerFace Shell to Multi-Directional Crown Aero systems, alongside different material faces with specific designs, grooves, and ridges. With this, the crown easily becomes one of the most important aspects to consider. Therefore, it is important to evaluate the crown specifically because the head of the club will determine how the ball performs overall. As far as cost and value, we can say that this is an aspect to consider that will determine how the product performs. However, what is at the base of the cost of the product is whether it is intended for amateurs, intermediate golfers, or professionals. If you happen to be an amateur golfer, then this brand offers specific clubs priced under $100 that will serve a great purpose and allow for masterful swings. However, as professional golfers and seasoned golfers know, a quality club can be costly. With that, some clubs can cost upwards of $400 depending on the design and the quality. Yet, it is well worth it for the amount of quality that comes in a simple club design. With this, we leave the criteria and move forward onto the frequently asked questions. As part of the frequently asked questions, we want to answer the most common questions that are often asked about this brand and golf clubs in general. Q: How do I clean the crown of an adjustable club? A: Some clubs by this brand have specific designs that allow individuals to adjust the face and the overall product design. With that, cleaning a product as unique as this from dust and dirt can be tricky. It is always best to clean a golf club head with a golf club washer. In fact, there are specific golf club washers that are designed to be easy to use, easy to empty out the dirty water, and inexpensive. Q: Are the clubs by this brand oversized or standard? A: This brand offers a large selection of many different golf clubs. With this in mind, a golf club size will range depending on the product, the quality of the item, and the design. However, most of the golf clubs we have shared are standard size golf clubs that do offer different flexes for different individuals. A: A headcover is easily one of the most important parts of a golf club. The head cover protects the clubhead from getting damaged during travel. With that, this brand is very good at including a headcover with the purchase of their clubs. However, it is best to contact them directly or read the product description closely for better information, to confirm if a specific club comes with a headcover. Q: What is the most lightweight club to use? A: This is an excellent question, but it is primarily determined not by the club overall, but by the shaft. The shaft of a golf club will determine exactly how heavy it is. The head does play a role in the weight, but if the shaft is made of steel or iron, you are guaranteed a heavier shaft than if it was made of fiberglass or wood. With that, fiberglass is the most lightweight with iron and steel being the heaviest. Also, the flex of the product will have a different weight as well depending on whether it is for ladies, seniors, or has a regular flex for the seasoned or intermediate golfer. All of these are aspects to consider.